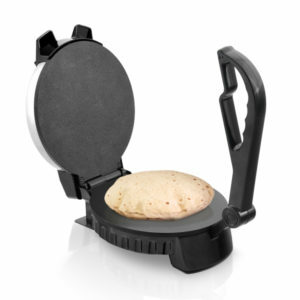 The Saachi NL-RM-4974 Non Stick Roti/Tortilla Maker is ideal for those who are looking to make delightful rotis or tortilla breads within minutes. Enjoy traditional delicacies at home with this efficient and easy-to-use appliance. 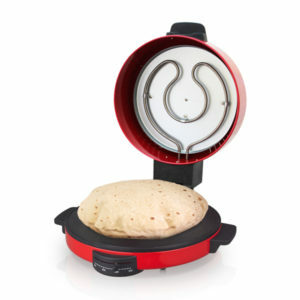 It has an 8-inch base that can give you the option to make different sizes of rotis. Simply place the rolled dough on the base of the pan and lower the iron. It has simple controls that facilitate quick and easy use on a daily basis. When the LED light turns green, your roti is ready to be served. – Can be used to make roti, tortilla, etc. 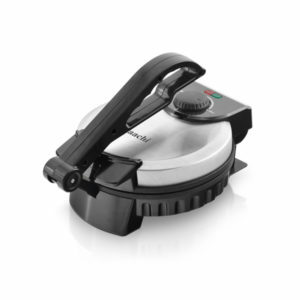 The Saachi NL-RM-4979 is designed to be able to make a wide variety of different flat breads. These include rotis, tortillas, khubz and many more. The oven-like appliance uses heating technology to make delightful traditional breads that compliment some of our favorite dishes. 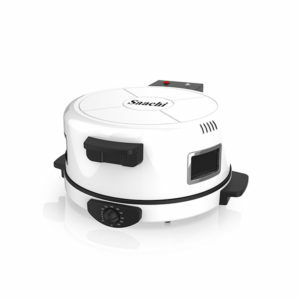 The appliance can also make pizzas, manakish and other such meals with ease. 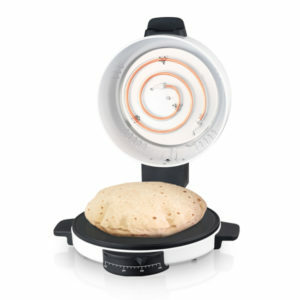 The adjustable thermostat gives you greater control over the style of bread you desire. – Can be used to make roti, tortilla, khubz, pizza, manakish etc. 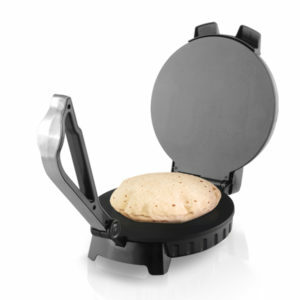 The Saachi NL-RM-4980 is designed to be able to make a wide variety of different flat breads. These include rotis, tortillas, khubz and many more. The oven-like appliance uses heating technology to make delightful traditional breads that compliment some of our favorite dishes. The appliance can also make pizzas, manakish and other such meals with ease. The adjustable thermostat gives you greater control over the style of bread you desire. 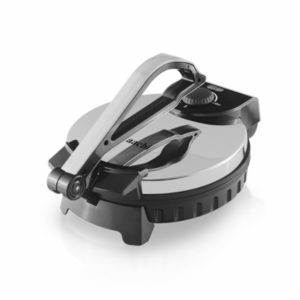 The Saachi NL-RM-4980G is designed to be able to make a wide variety of different flat breads. These include rotis, tortillas, khubz and many more. The oven-like appliance uses heating technology to make delightful traditional breads that compliment some of our favorite dishes. The appliance can also make pizzas, manakish and other such meals with ease. 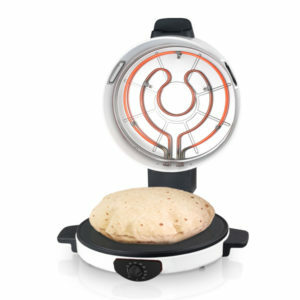 The adjustable thermostat gives you greater control over the style of bread you desire.